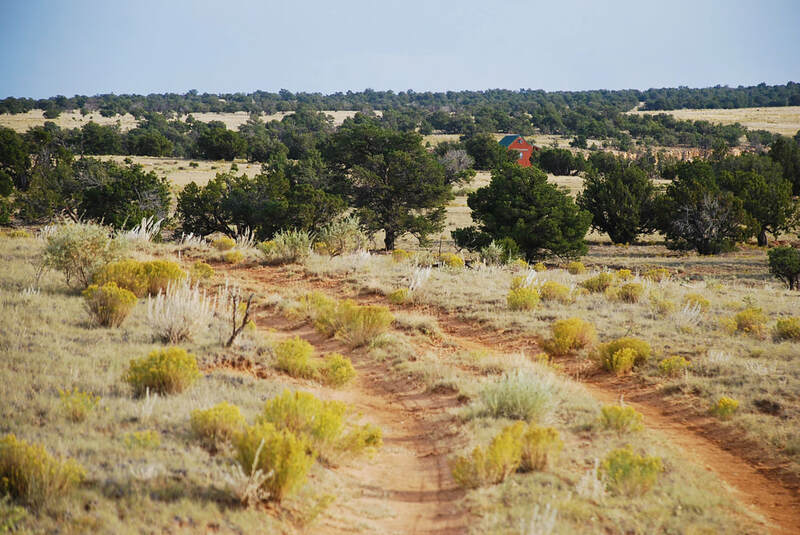 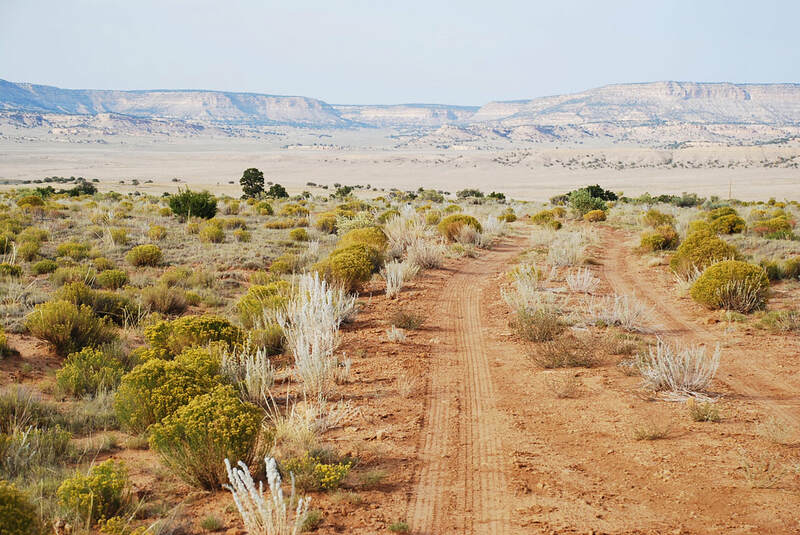 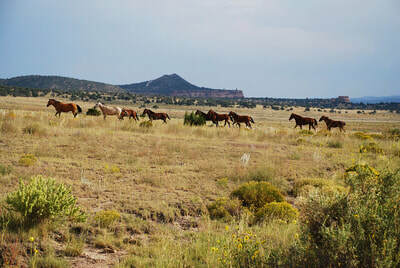 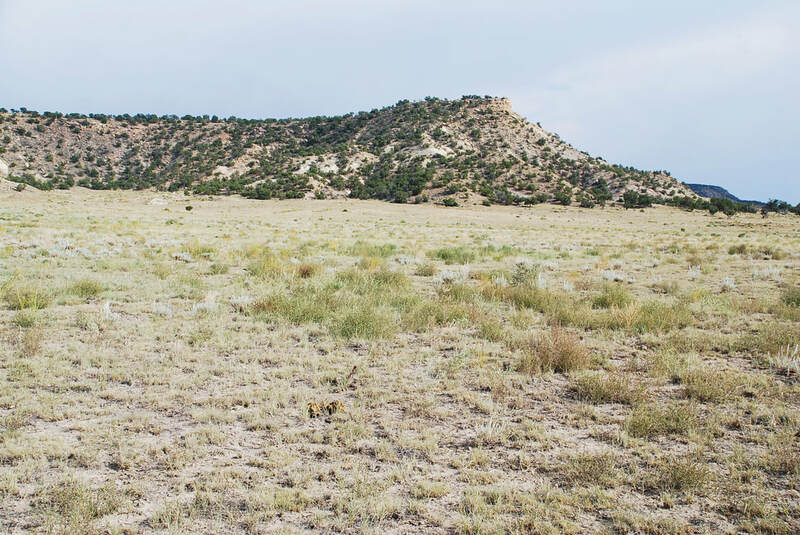 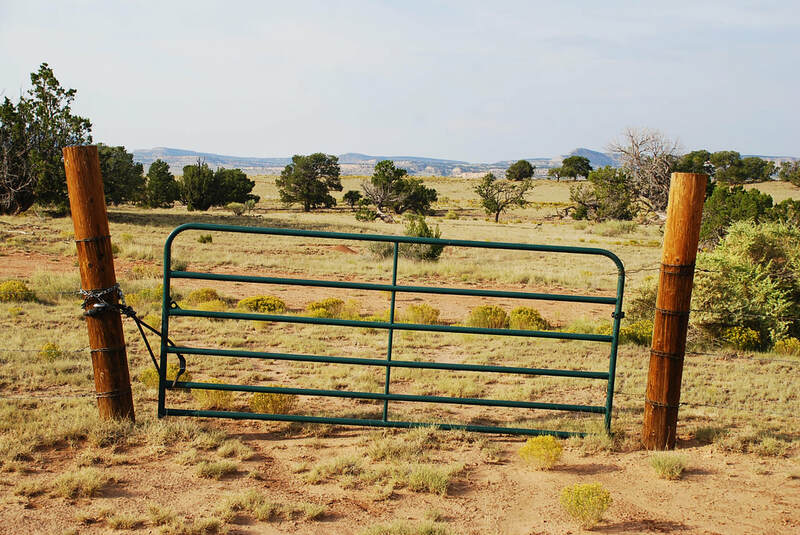 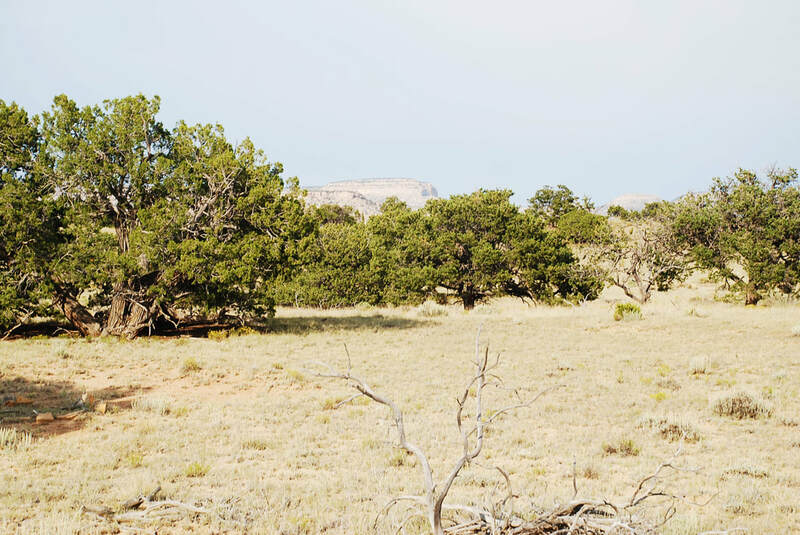 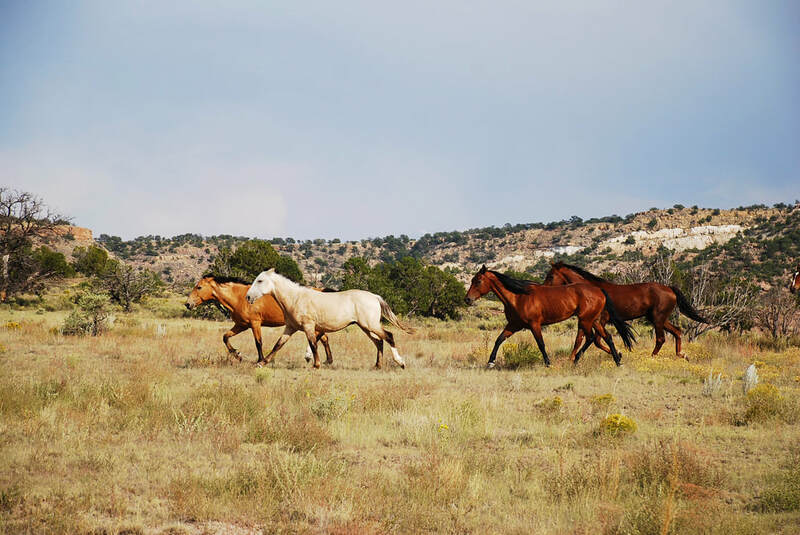 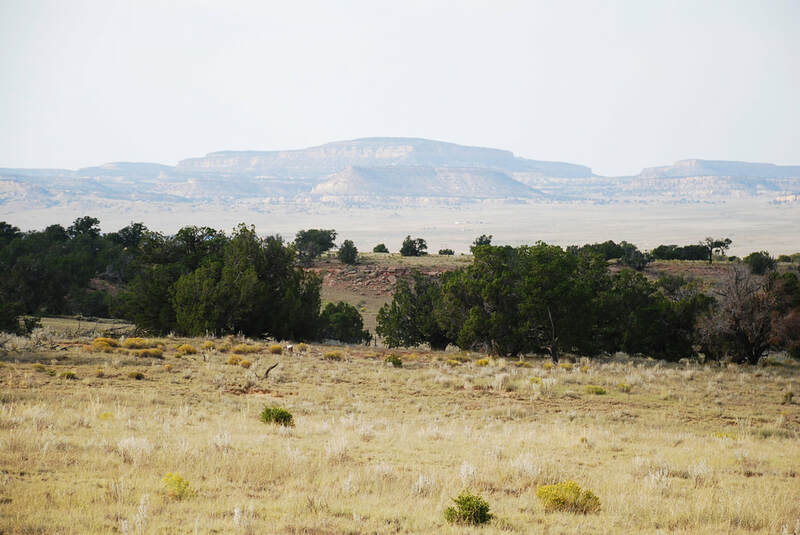 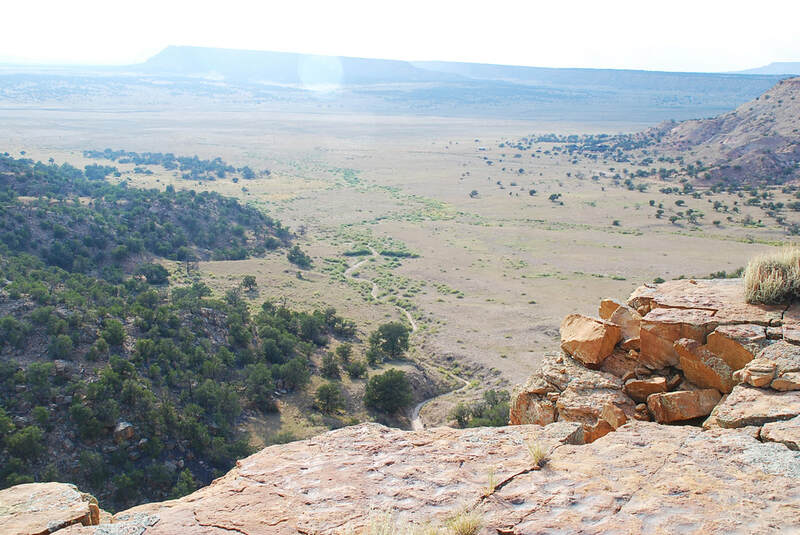 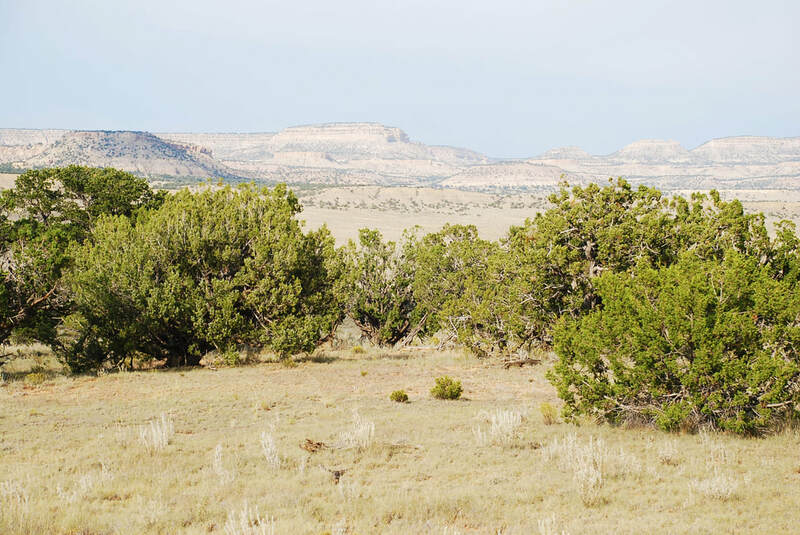 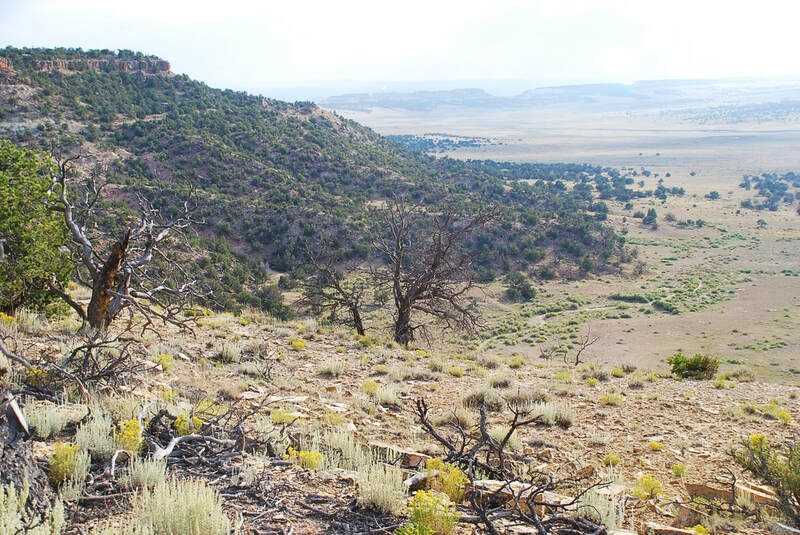 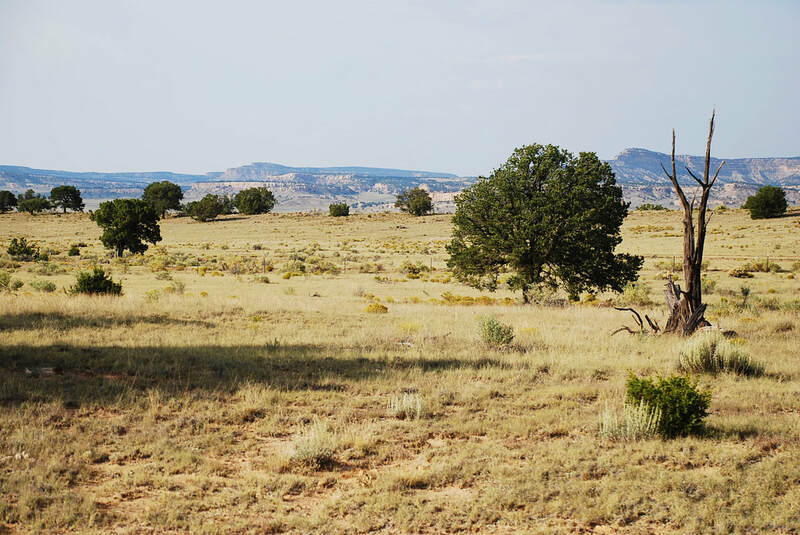 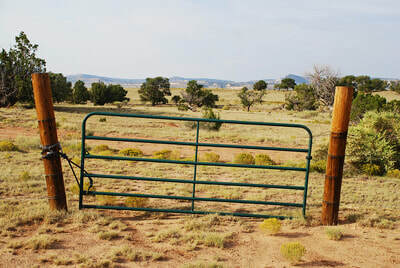 This enchanting New Mexico ranch property has stunning views, high cliffs and canyons, trees and meadows, and plenty of acreage on which to run a nice herd of cattle, horses, or any other livestock. 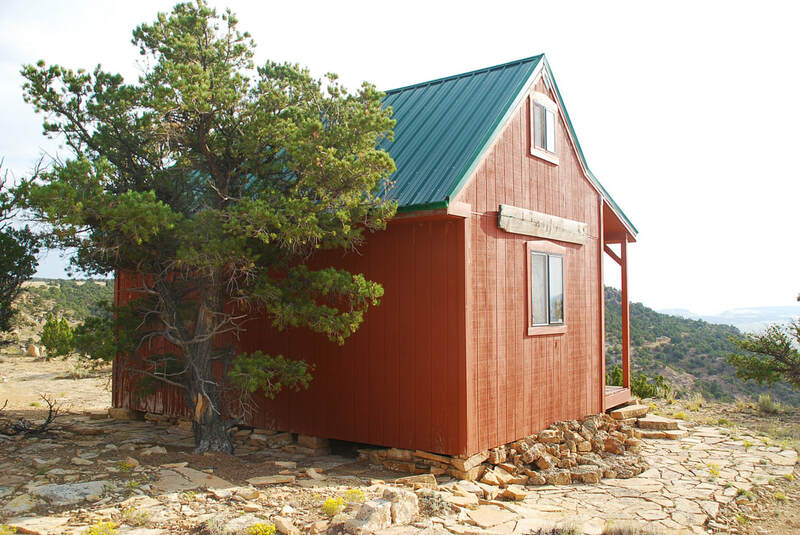 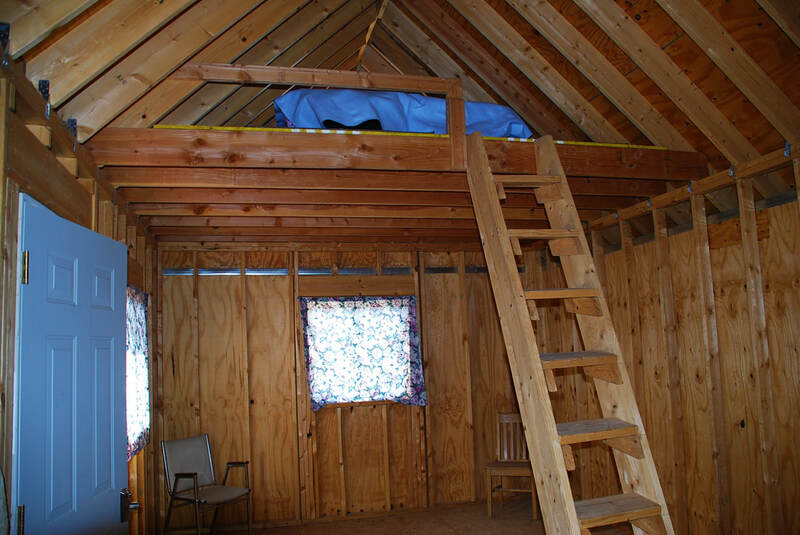 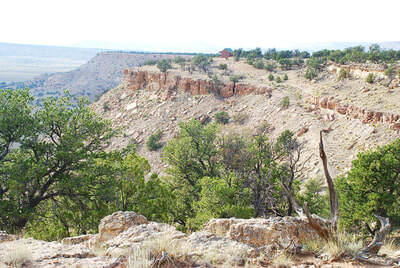 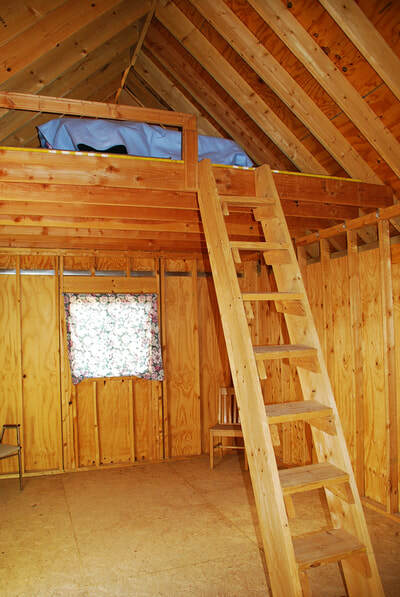 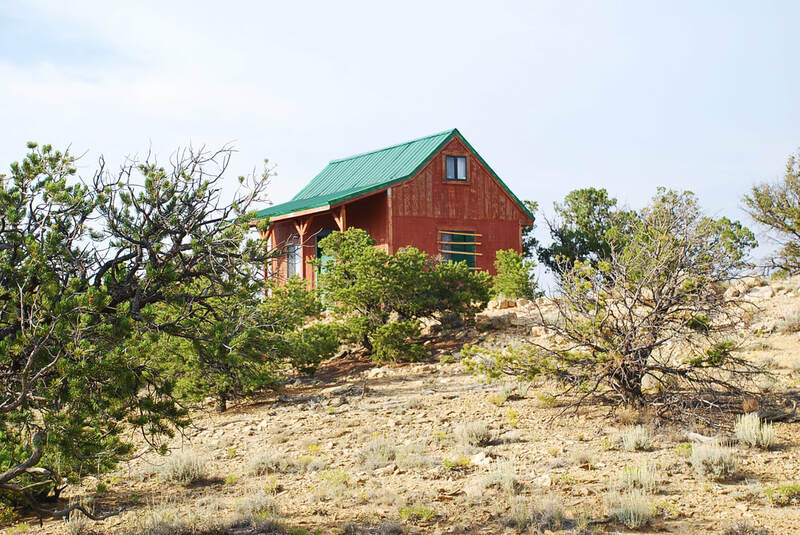 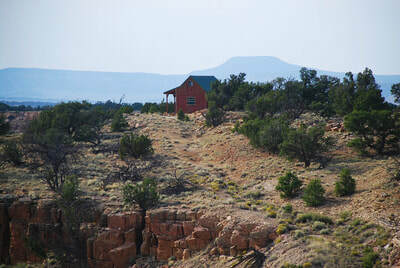 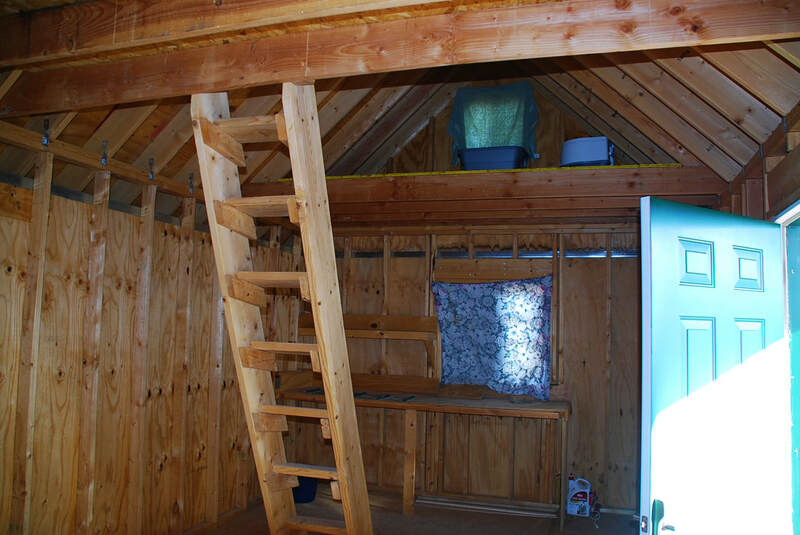 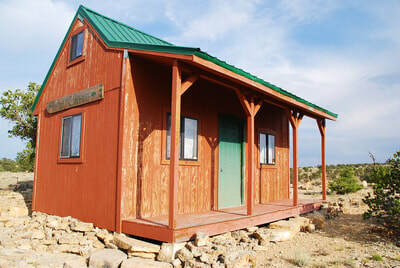 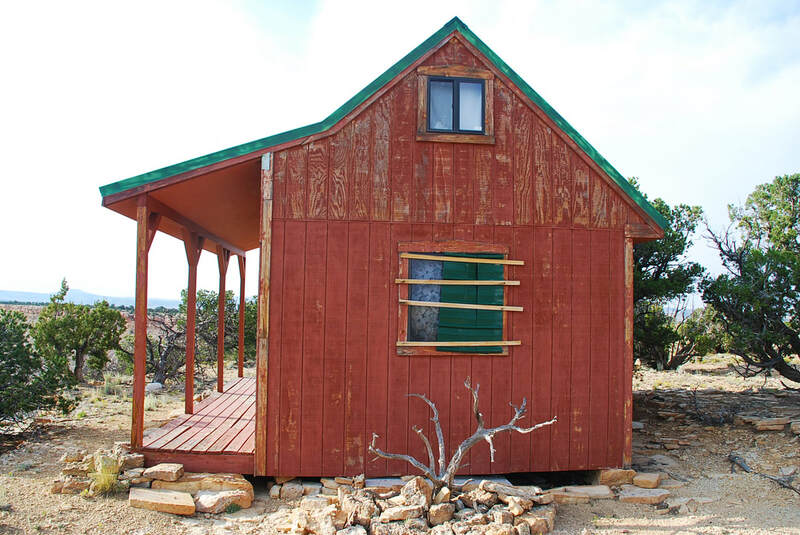 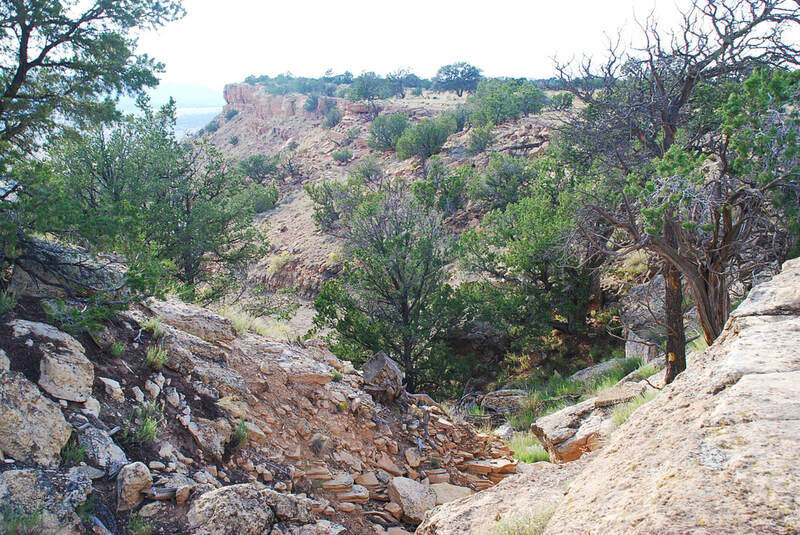 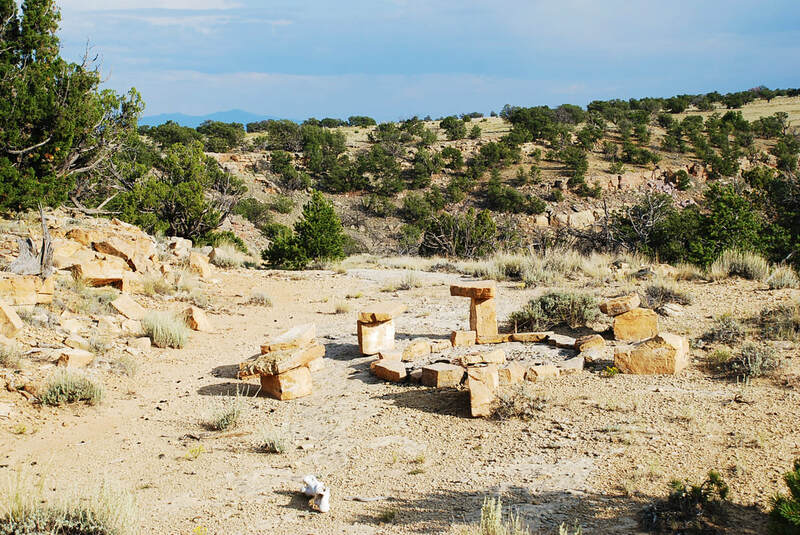 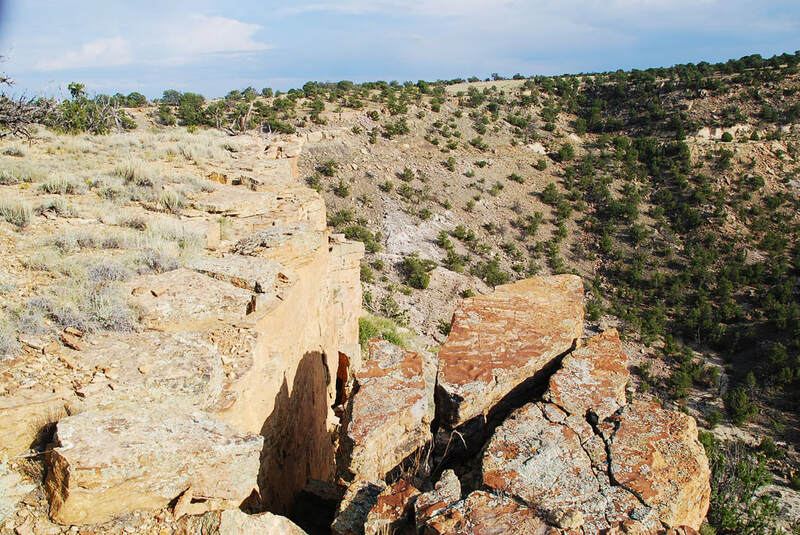 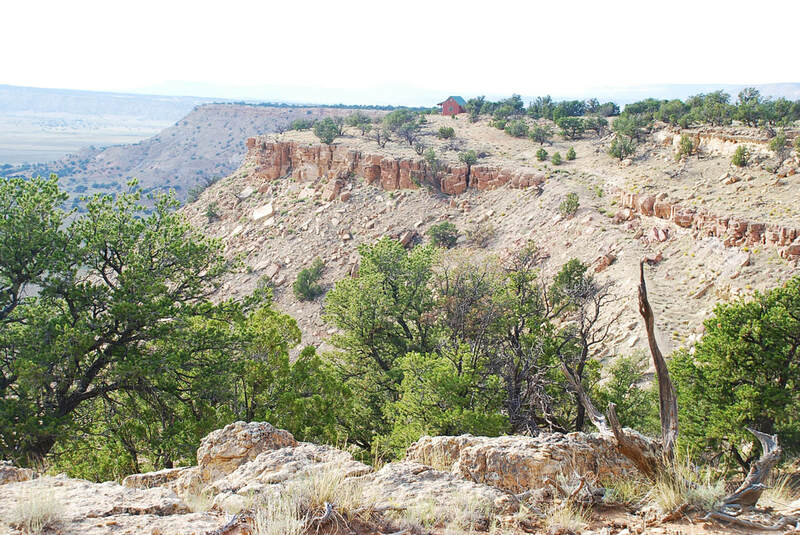 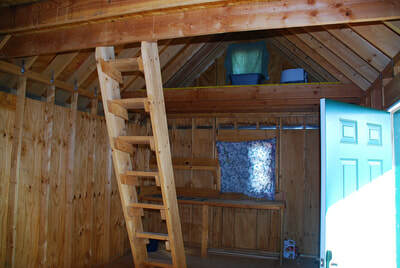 A little 12'x20' wooden cabin with a covered porch sits on top of the mesa near the edge of a rock cliff that overlooks a canyon valley several hundred feet below, giving a jaw-dropping view for 50-60 miles. 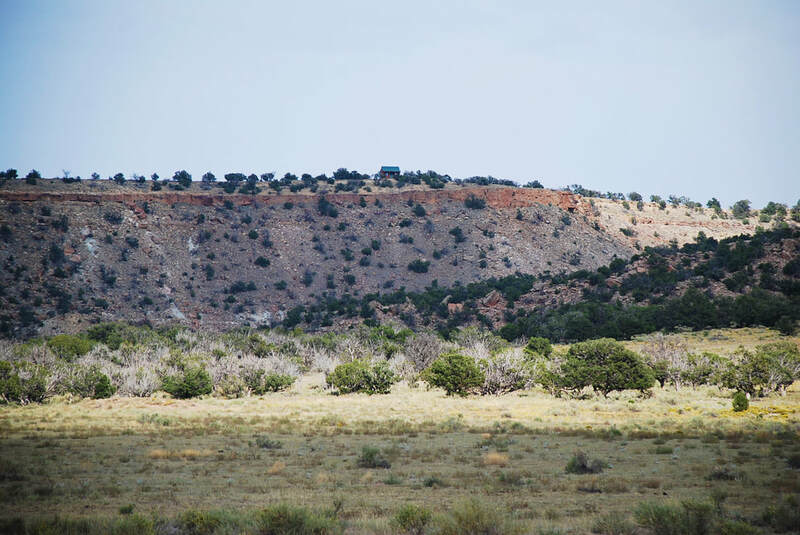 On the bottom of this valley sits an 800' unequipped well that the owner says was said by the driller to produce 8 gallons of water per minute. 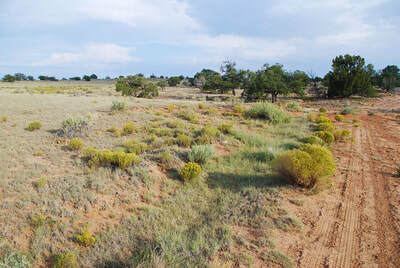 Lot 3 is entirely fenced, the other lots are not fenced. 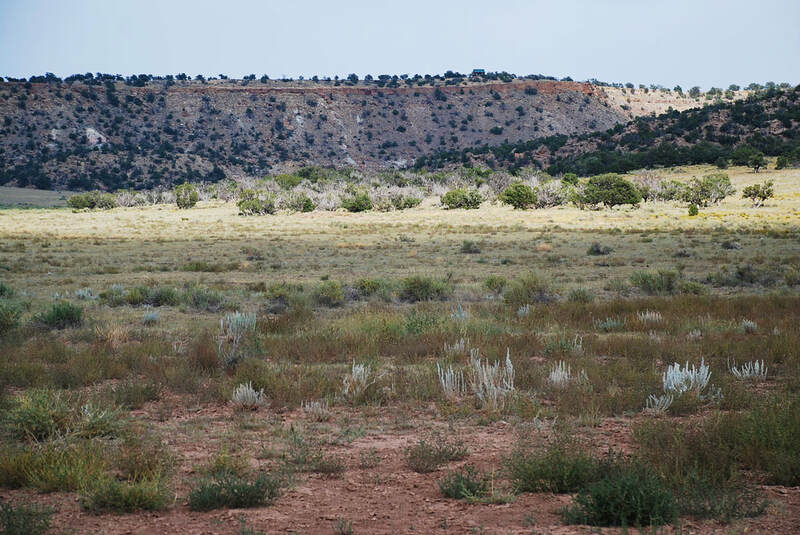 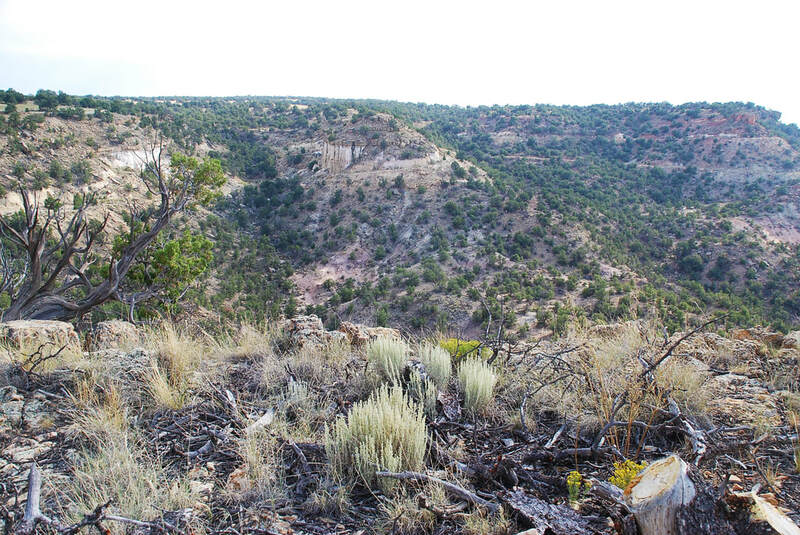 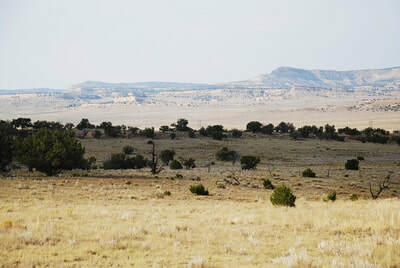 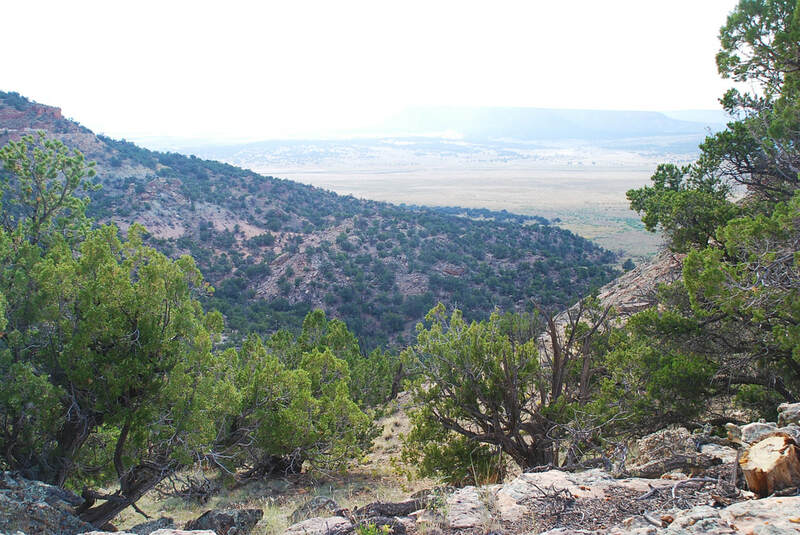 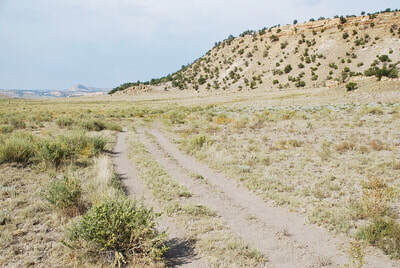 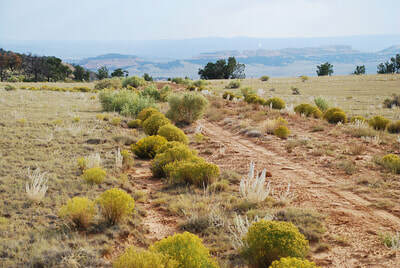 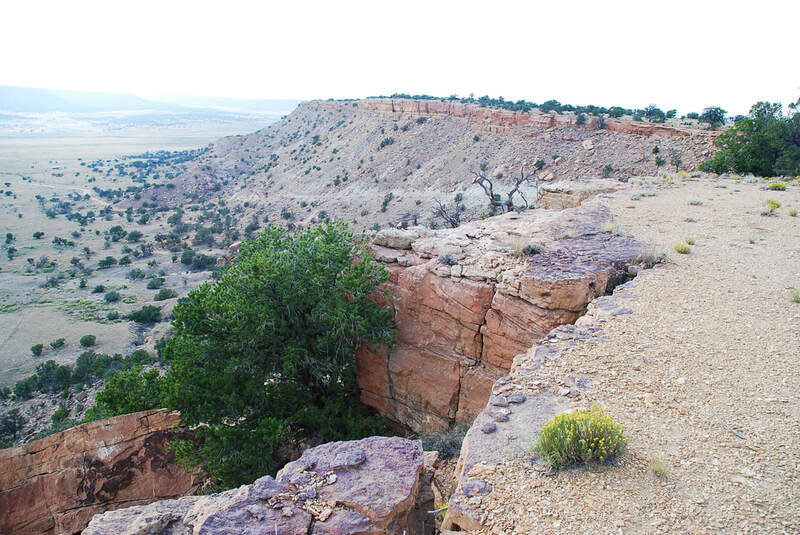 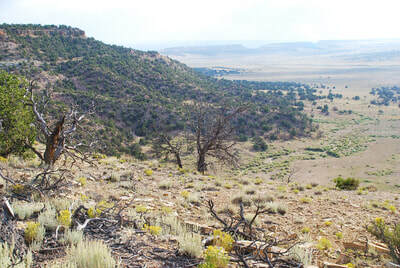 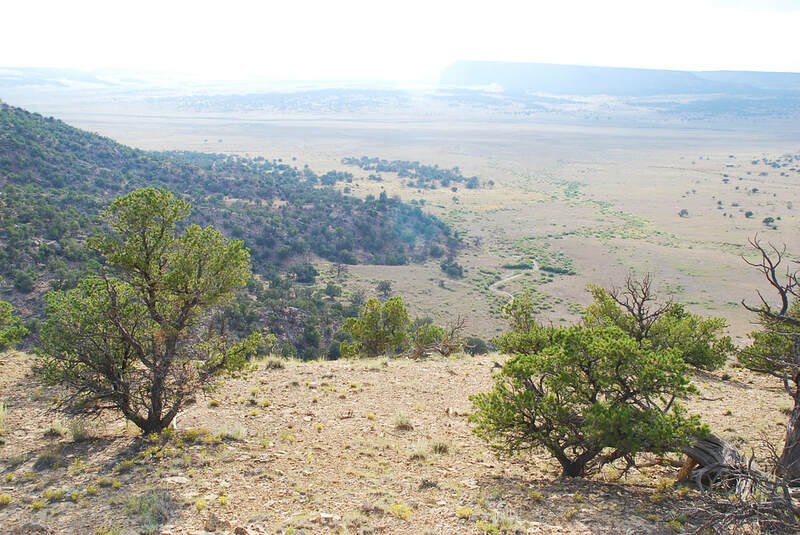 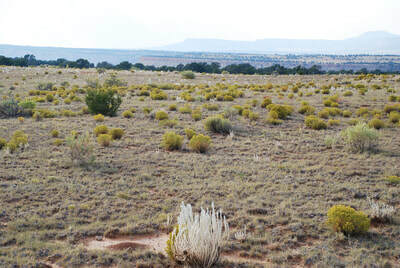 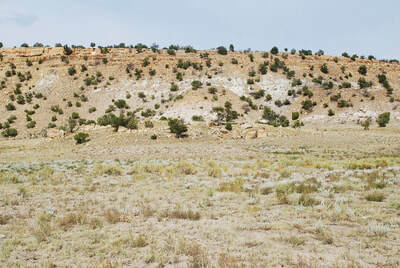 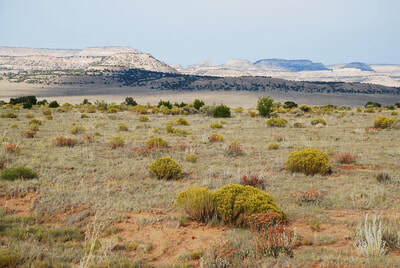 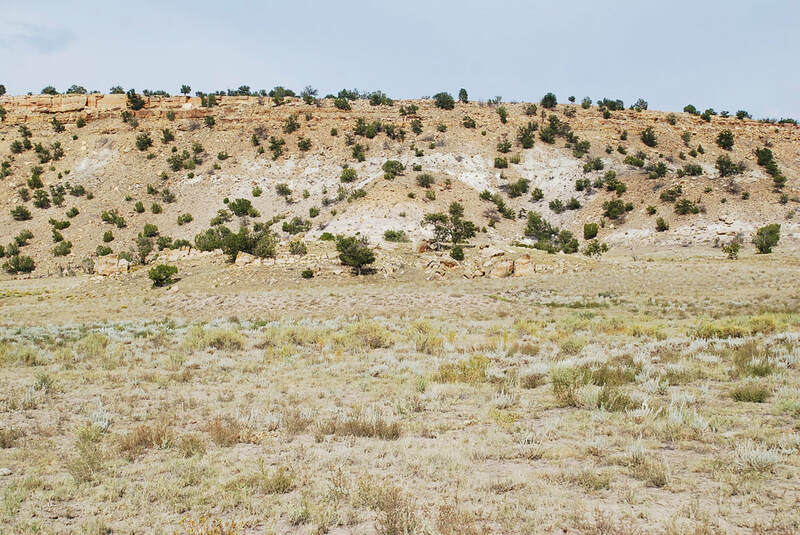 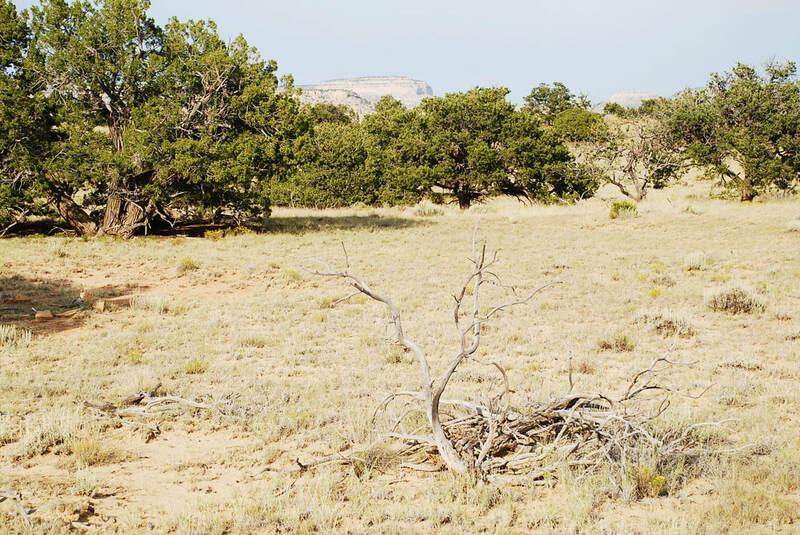 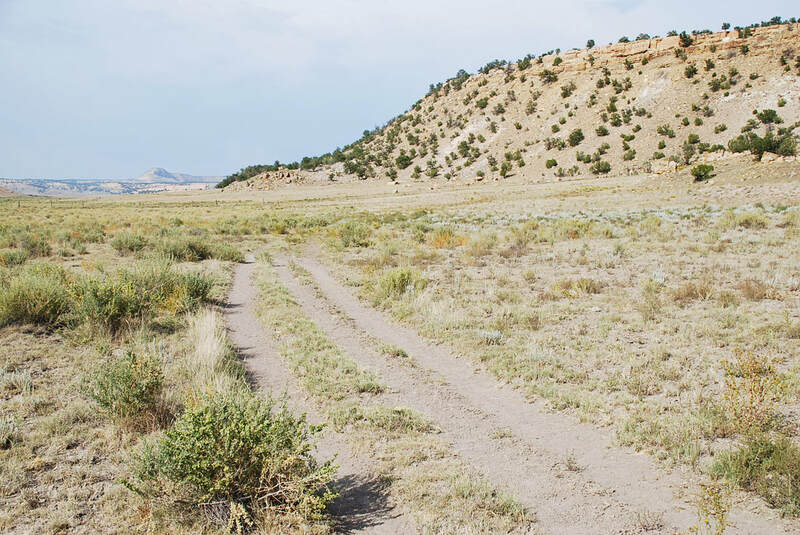 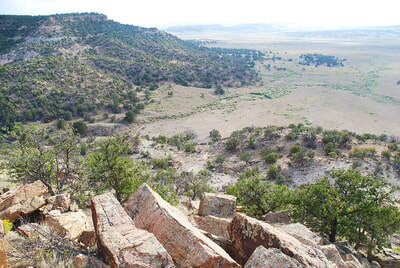 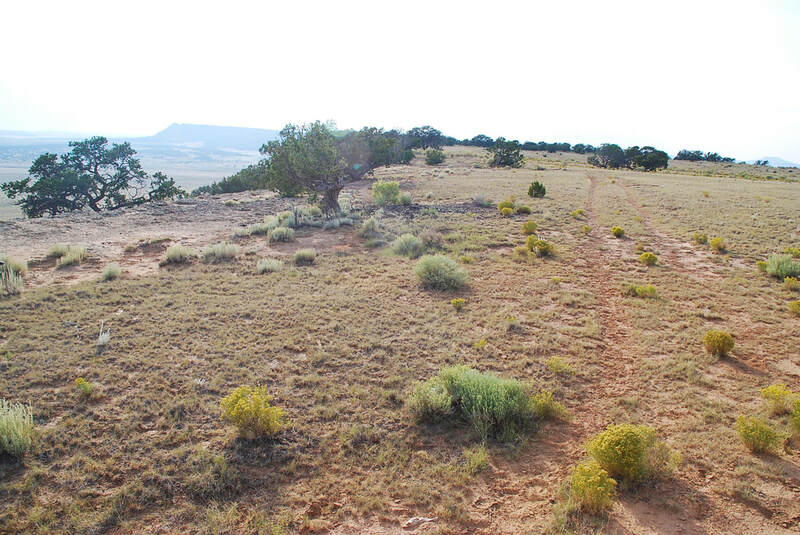 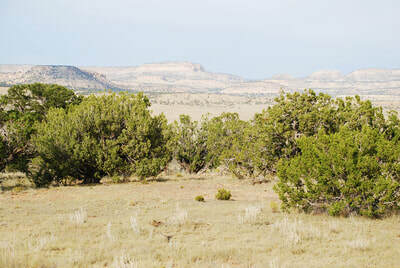 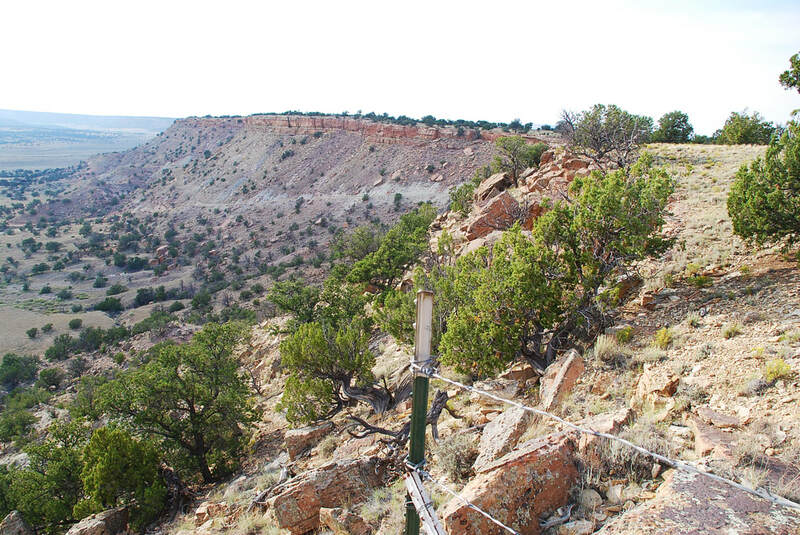 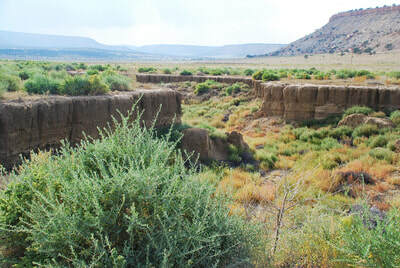 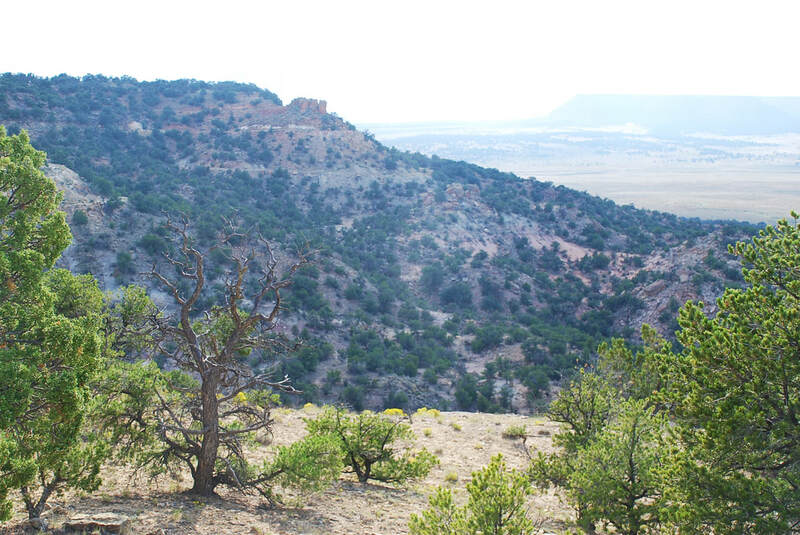 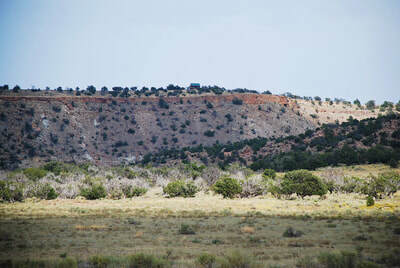 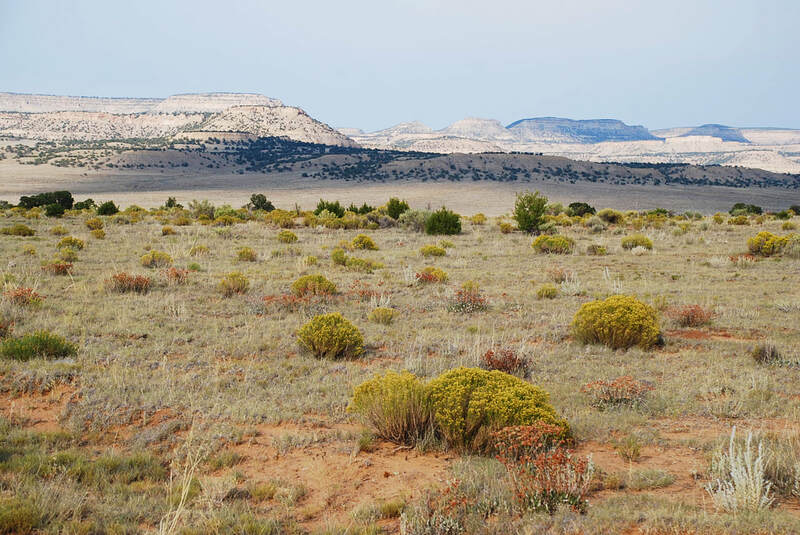 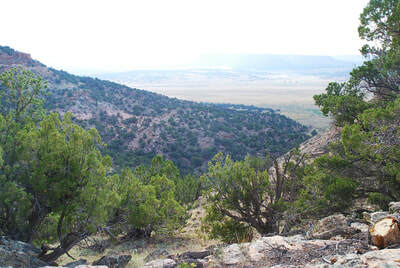 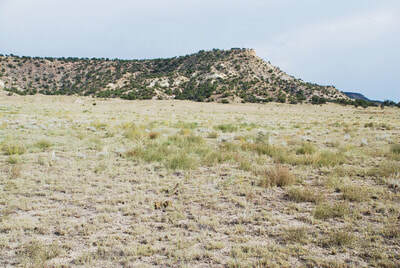 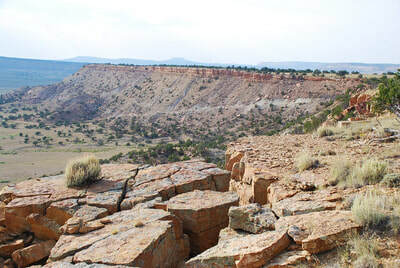 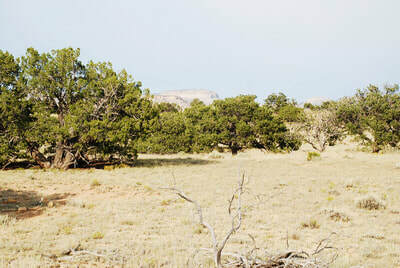 Piñon, cedar, pine, and lush grama grass grow on this this mesa and below. 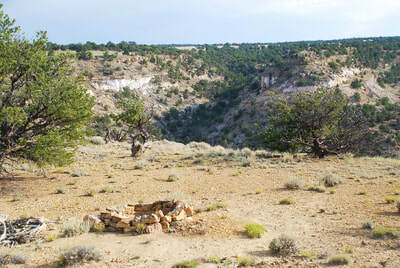 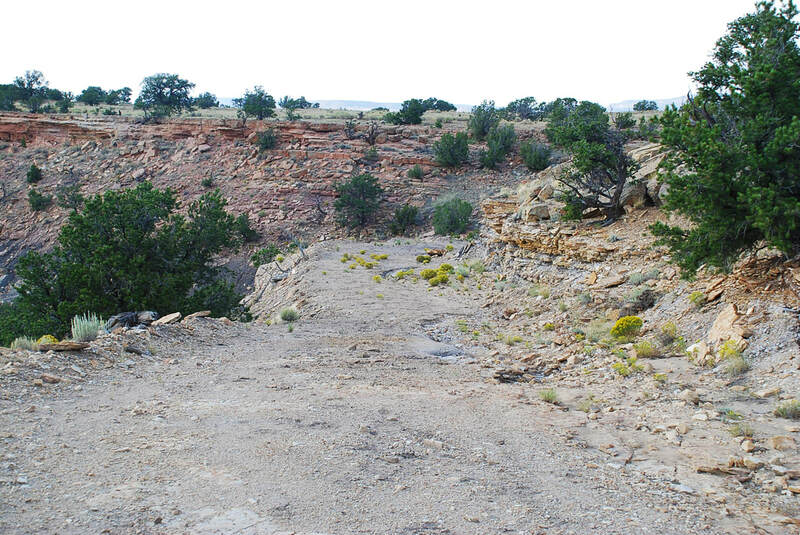 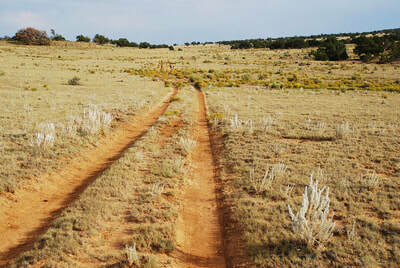 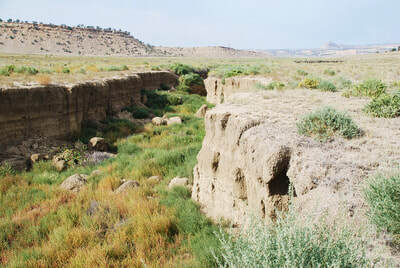 Access from Hwy 19 on dirt and gravel roads either from the north at Casamero Pueblo, or south and east through the Red Canyon Ranches. 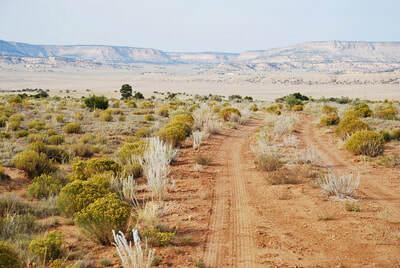 This is "Wild West Country" at its best.